Whether breakfast, afternoon coffee or room service – the new double-walled pots in the COMPO collection, create the perfect accompaniment for delicious coffee and tea pleasure. With a skilful change of shape from the quadratic base shape to the rounded upper pot area, the design also flatters any table ambience. COMPO is thus in harmony with almost any style of porcelain, cutlery and decorative item. 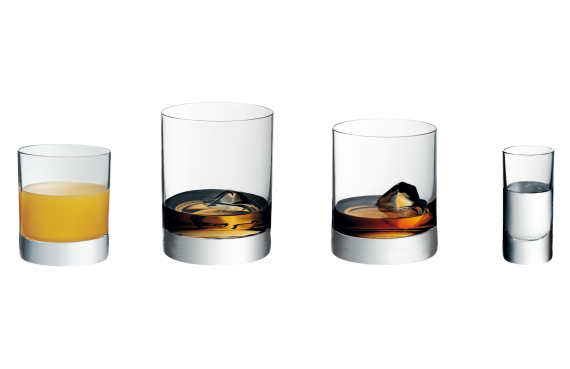 Tumblers in the MANHATTAN series are true all-rounders, which captivate with their massive "ice cube". 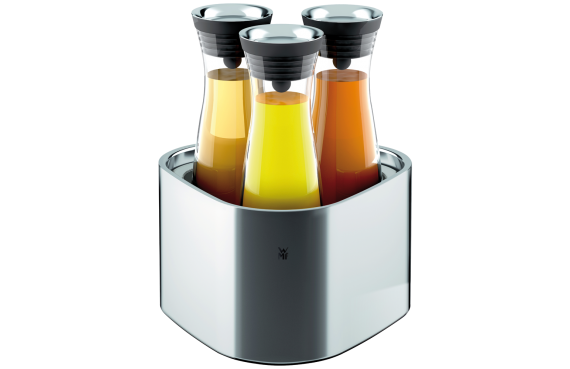 They are ideal for whisky and other drinks served "on the rocks", long and soft drinks and liquors, and also for non-alcoholic drinks such as juice, water and lemonade. Just one glass from the MANHATTAN collection is enough to equip your drinks bar for everything. 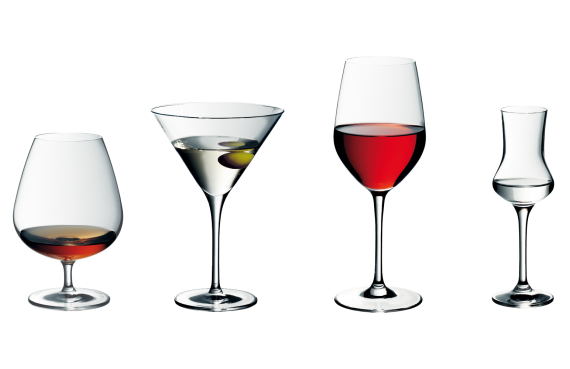 The timeless design of the SMART glass series is aimed at the more discerning dining establishments. Though typically thick-walled and robust, it is still well balanced and easy to handle. 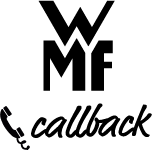 The functional SMART series is endowed with clear lines and deliberately designed as a streamlined range, and includes the right glasses for any occasion in everyday life. 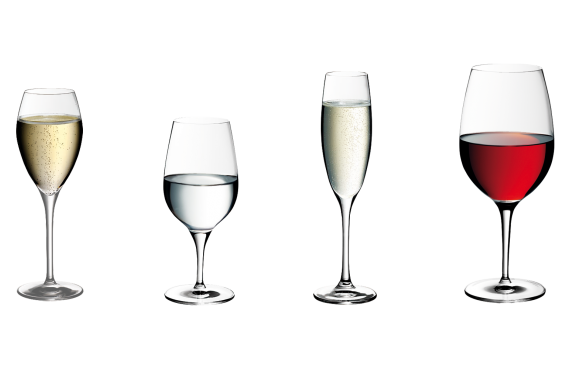 The extended handle, the elongated graceful shape and the crystal clear glass are all characteristics of wine glasses from the WMF ROYAL series. Despite their lightweight appearance and exclusive charm, the glasses are resistant and durable. This means that the ROYAL collection offers the perfect glass for all aspects of haute cuisine, and guarantees an elegant ambience. 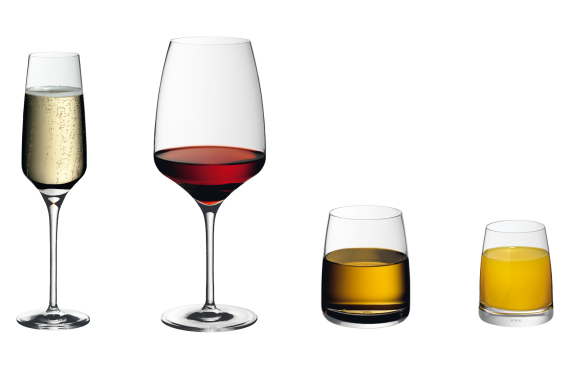 As in the days when cutlery was individually hand-made, wine glasses from the WMF DIVINE collection impress with their gently curved, thin-walled bodies, which flow into soft lines at the stem and base. The glass tapers off at the top, adding to the pleasure of drinking and letting the bouquet of your wine develop in the optimum way. The timelessly beautiful shape enhances your place settings and gives every table a festive feel! There are so many different ways of preparing coffee that it's no longer enough to just offer three or four products on the drink menu. 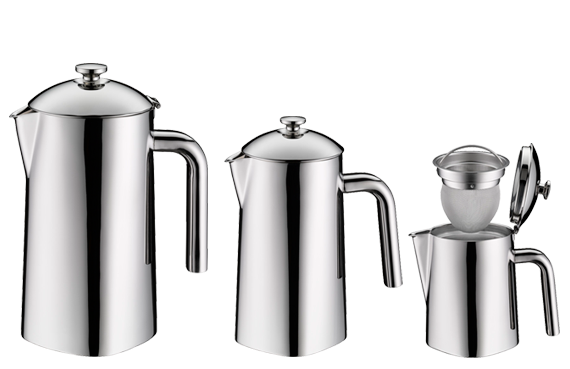 With WMF "CoffeeCulture international" you can add a number of coffee specialities to your repertoire the easy way. 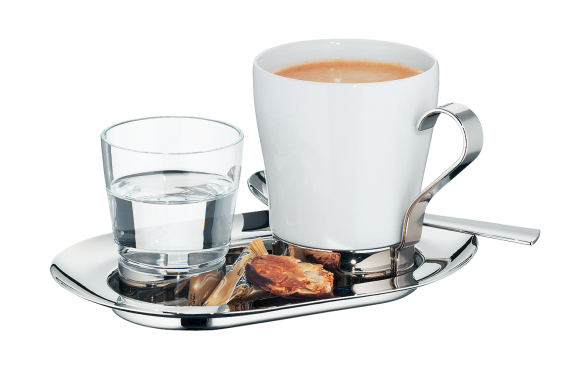 Offer your guests the stylish pleasures of both new and old coffee drinks, from espresso and latte macchiato to café latte, and satisfy even the most demanding of gastronomes. The classical design, which combines Cromargan®, WMF glass and porcelain, has a timeless look, and fits in with any décor. Coffee is so much more than just another hot drink. Over the years the dark brew has become part of our cultural heritage, and the art of serving it properly has a history that goes back just as far. There are limitless coffee specialities, but there's only one "CultureCup" - the perfect serving idea from WMF. 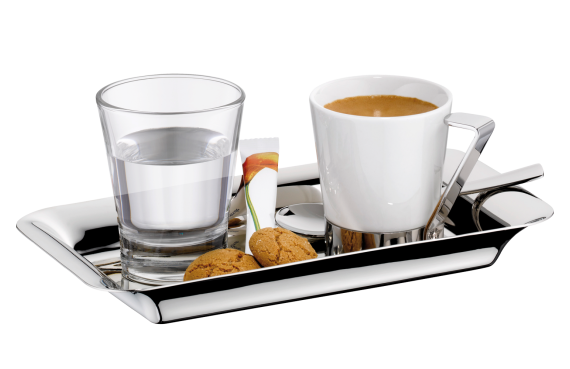 The simple yet modern design is made from a combination of Cromargan®, WMF glass and porcelain, is based on the shapes of the WMF "coffee culture" classic, and is every bit its equal in terms of combination and presentation.